Looking for a neat way to display your action figure's alternate head sculpts? 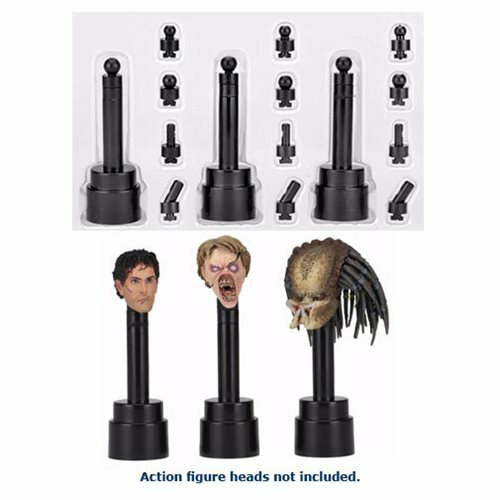 These black plastic display stands come with a variety of connectors, making them compatible with the heads of most 6 to 8-inch action figures. Each stand measures approximately 3-inches tall and a total of 3 stands come per pack. Ages 8 and up.